In addition, Mr. Coscia regularly advises infrastructure funds, private equity firms, technology companies, not-for-profit organizations and investor owned utilities. He also has specific experience in the area of redevelopment finance and has worked extensively on infrastructure development projects. In addition to his private practice, Mr. Coscia also serves as Chairman of the Board of Directors of the National Railroad Passenger Corporation (Amtrak). Previously he served as Chairman of Amtrak's Finance and Audit Committee. Mr. Coscia's contributions to Amtrak are the result of his June 2010 appointment and his 2015 second term reappointment by President Obama to the Board of Directors. Mr. Coscia is the Chairman of Suez North America Inc., the U.S. subsidiary of Suez Environnement SAS. He is a Director of OceanFirst Financial Corp. and OceanFirst Bank and has served as a director of several public and closely held corporations in the construction, financial services, investment banking, real estate and manufacturing sectors. In addition, he serves as a trustee of Georgetown University and the New Jersey Community Development Corporation, and is a member of the New Jersey Performing Arts Center Council of Trustees, The Partnership for New York City, The Economic Club of New York and the Regional Plan Association. Mr. Coscia served as Chairman of the Port Authority of New York and New Jersey for over eight years, stepping down from the Board on June 30, 2011. During his tenure, the longest in modern Port Authority history, he served four New Jersey Governors and three New York Governors. As Chairman, Mr. Coscia oversaw the restoration of the agency after 9/11 as a key player in the region through development of a long term capital program, assuming the lead role in the redevelopment of the WTC site rebuilding, spearheading multi-billion dollar mass transit improvements, port expansion, modernization of aviation facilities and the most significant corporate governance and financial management reforms adopted by the Port Authority in over two decades. From February 1992 to March 2003, Mr. Coscia served as Chair of the New Jersey Economic Development Authority ("NJEDA"), one of the largest state-sponsored development banks in the United States. 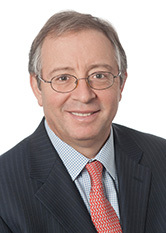 Mr. Coscia is a member of the Executive Committee of Windels Marx and has been with the Firm for over 25 years. He served as Editor-in-Chief of the Rutgers Computer and Technology Law Journal while attending Rutgers University School of Law. In 2007 he was awarded an honorary doctorate of humane letters from the New Jersey Institute of Technology. September 12, 2017 - Association for a Better New York (ABNY) Presents "Power Breakfast." Discussion on the Summer 2017 Penn Station infrastructure progress and additional improvements planned, as well as an update on the Gateway Program. March 14, 2017 - Montclair State University - Feliciano School of Business Presents "Real Estate and Incentives in New Jersey" - Closing Keynote on "Public-Private Entities and the Connection with Real Estate Development." May 2, 2016 - Crain's Real Estate Conference - Panel Discussion on "Taking the Measure of Penn Station and the Cuomo Administration's Plans for It." October 23, 2015 - Urban Land Institute - Fall Meeting Panelist on "Transformative Projects: New York Style." September 30, 2015 - New Jersey Chamber of Commerce Roundtable. April 24, 2015 - Regional Plan Association - The RPA Assembly - Plenary Debate. October 23, 2014 - Urban Land Institute - Fall Meeting Panelist on "Transformative Projects: New York Style." September 30, 2014 - New Jersey Chamber of Commerce - Roundtable on Transportation. April 27, 2012 - Regional Plan Association's 2012 Assembly - Expert panelist on transportation. November 1, 2011 - "Road to Recovery: Transforming America's Transportation," a panel discussion hosted by Regional Plan Association and the Carnegie Endowment for International Peace. October 2018 - ROI-NJ "Real Estate Influencers." September 2018 - Super Lawyers 2018, Recognized for Real Estate. August 2018 - The Best Lawyers in America 2019, Recognized for Banking & Finance Law. April 2018 - Regional Plan Association's The John Zuccotti Award, recognizing leadership and contributions to the built environment of New York City and the metropolitan region. March 2018 - NJBiz "Power 100" List - #5. February 2018 - ROI-NJ "Influencers Power List" - #7. November 2017 - NJBiz "Power 50: Real Estate" List - #33. October 2017 - ROI-NJ "Real Estate Influencers." August 2017 - The Best Lawyers in America 2018, Nominated for Banking & Finance Law. February 2017 - New Jersey Chamber of Commerce Business Leadership Award. February 2017 - NJBiz "Power 100" List - #7. November 2016 - NJBiz "Power 75: Real Estate" List - #42. January 2016 - NJBiz "Power 100" List - #7. November 2015 - NJBiz "Power 50: Real Estate" List - #9. January 2015 - NJBiz "Power 100" List - #28. November 2014 - NJBiz "Power 50: Real Estate" List - #18. January 2014 - NJBiz "Power 100: The 100 most powerful people in New Jersey Business" - #28. November 2013 - NJBiz "Real Estate and Construction Power 50" List - #40. December 2012 - NJBiz named Mr. Coscia in its "25 Legends" article, which was part of a 25th anniversary special edition magazine that included New Jersey's legendary leaders through the years. November 2011 - NJ Biz "Power 50 Real Estate" List - #38.